06 Mar	This entry was published on March 6, 2018 at 8:43 am. 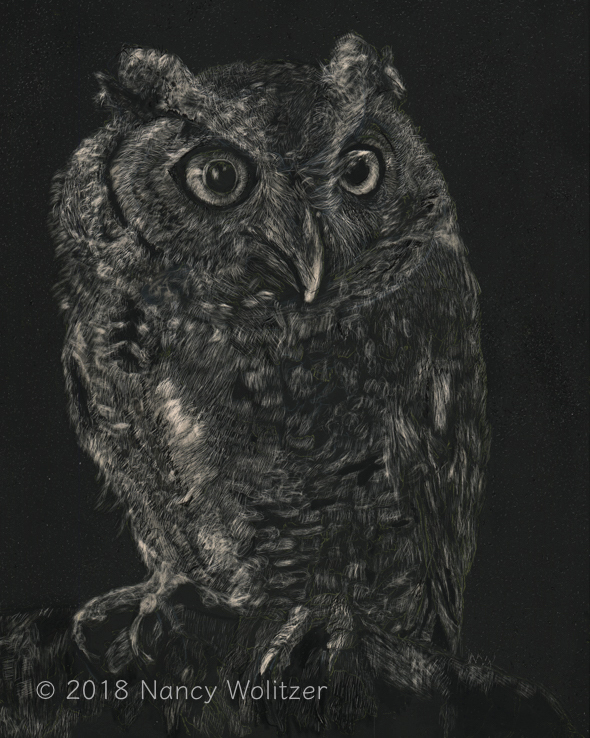 It’s filed under Artwork, Drawing and tagged Drawing, Nancy Wolitzer, Owls, Scratchboard. Bookmark the permalink. Follow any comments here with the RSS feed for this post. Thanks, Anna! I always start with the eyes and if they are not right the entire drawing is off.